Thanet council has this evening (January 11) revealed toilets at The Centre in Margate will reopen tomorrow. The move follows an admission earlier today that facilities at The Centre and College Walk were still shut despite a report that said council leader Chris Wells stated they were open. The facilities in College Walk and The Centre closed on Friday, December 1. A Thanet council statement said the closure was due to antisocial behaviour. The action caused an outcry from residents who were outraged that the town was being left without public facilities. 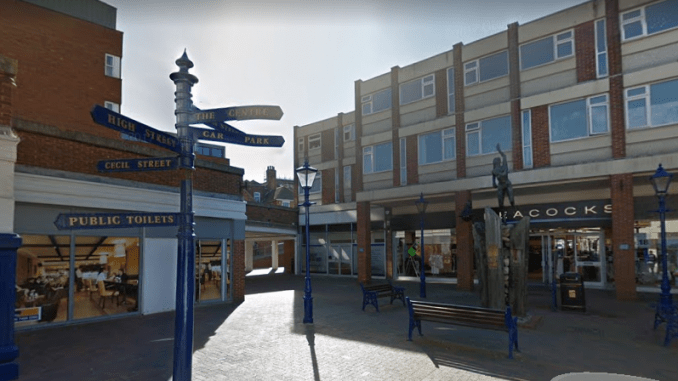 It is claimed that Cllr Wells said in an interview this week that the toilets had been reopened but Thanet council today (January 11) confirmed this was not the case. A spokesman said the toilets remained shut apart from the disabled facility at The Centre which is accessible with a key. The special ‘Radar’ key is given to people with disabilities through their GP or Occupational Therapist. But this evening TDC has revealed all the toilets at The Centre will reopen from 7am tomorrow (January 12). When you gotta go you gotta go. Needing a pee is not a luxury it is an essential bodily function. Even councillors have to pee! Well done all. The officer I spoke to today who has been employed at TDC for many years may have had some influence on the reopening. Outside the Centre loos was an environmental hazard . Common sense prevales ! At last. People were peeing in the street and having accidents when caught short in the cold weather as all the toilets in the shopping areas were closed which was absolutely ridiculous. No toilet is available in Margate Gateway and library either. What did they expect the public to do, especially the disabled when padlocks and chains were in use? I hope someone was reading the comments and realising how wrong that was. Well done to common sense at last. About time, the only ones allowed to go to toilet in Margate were the dogs whose irresponsible owners let them foul everywhere without picking it up or facing any repercussions. Chris Wells is of course the genius who wasted who knows how much money on a voluntary Dog DNA database scheme that was insane to everybody but him, money that could have been well spent on providing proper security at the toilets. It would be nice to know from our leaders exactly how things will change, or are they just going to carry on as before with people going in all day to shoot up? The easy way to get rid of this issue is to get rid of the sharp box inside & have those only at designated places like Addaction & to actually tackle the homeless problem rather than just ignoring it. Bus drivers say THANK YOU!!! Charge a fee for using then have a full time attendant to keep the undesirables out and keep the toilets clean . Bus drivers who stop there and emergency personal would have free access.